Now format your unformatted pendrive within a second. If you are getting “Windows was unable to complete the format” message at the time of formatting pen drive then this solution for you. Now take the solution and format any unformatted pendrive easily. So, if you want to format your unformatted pendrive then you need a 3rd party software. The name of this software is “AOMEI Partition Assistant Standard Edition [Free Edition]” – only 8.16 MB. 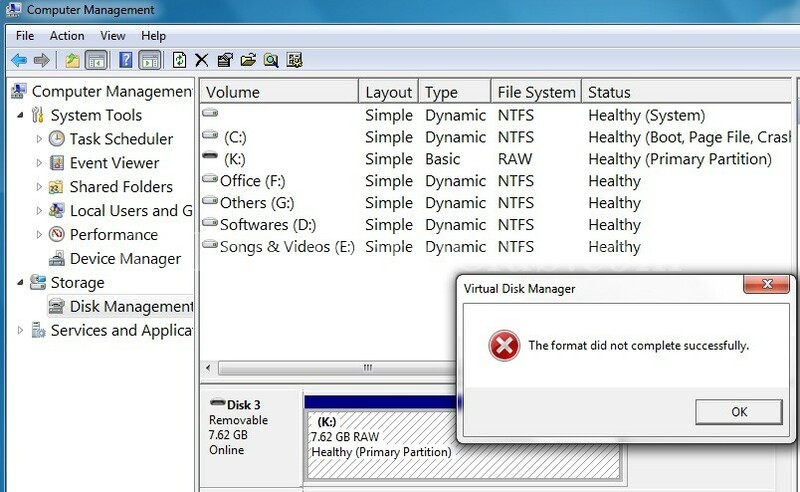 This software is the solution of “Windows was unable to complete the format” problem. 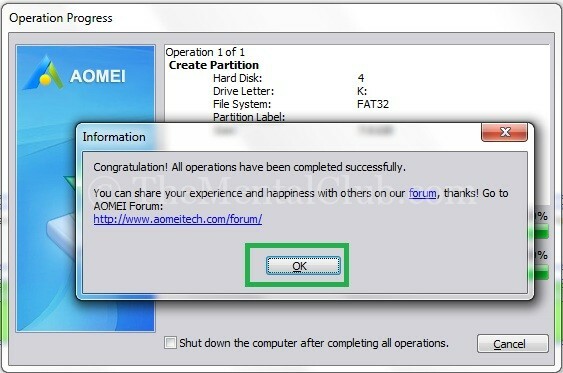 Download AOMEI Partition Assistant Standard Edition [Free Edition] from here. Now, Install and Run this software. 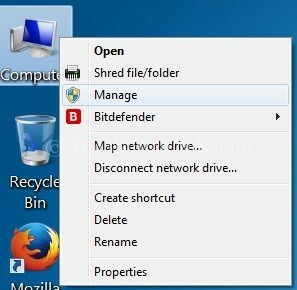 If your pendrive connected with your PC then you will see the list for unformatted drive list as below. 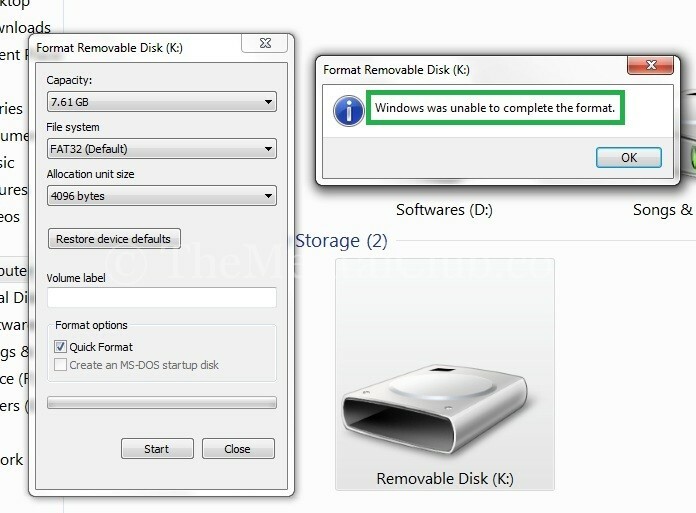 Now right click on the unformatted memory card or pendrive or flash drive then click on “Delete Partition”. 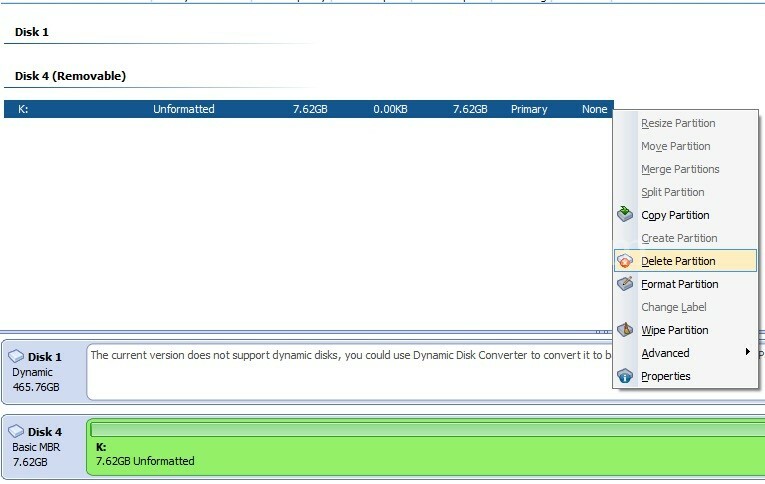 Now select “Delete partition quickly (Recommended)” and click on “OK” then “Apply” button from left – top corner. Then it will show another dialog box – click on “Proceed” button. Now it’ll process. Next it will show a “Processing Complete” dialog box. – Now click on “OK” button. Now your pendrive will show as “Unallocated”. 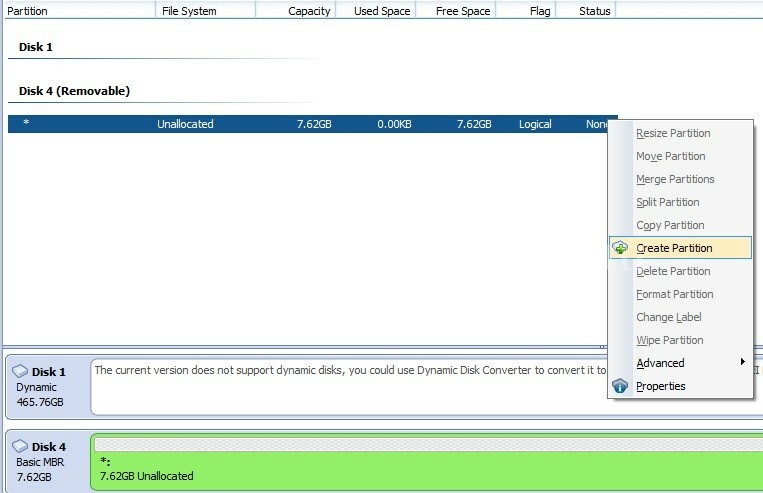 Right click on your unallocated pendrive then click on “Create Partition”. Now, it will show another dialog box, just click on “Ok” button and click on “Apply” button from left-top corner. Now, it will take few time to complete the process of formatting. And it will show you a confirmation dialog box. Now, you can format it from any ware of your computer.